I appreciate the predicament you find yourself in. People press you into planning something far into the future; you don’t want to think that far ahead. I think I understand their need to know and to rely on things happening exactly when they want. Planning seems to calm them. In the end, they are afraid. So are you, and I am, too. I detest planning. It makes me think and do things in times that just don’t exist yet. I had a dream just the evening before last. It is like all other similar nightmares I have about planning and making appointments. I run through an airport to make a plane. People need help with their bags, want doors opened for them, and seek my attention. I stop to help but they distract me from my goal. I run harder, try harder to get to the gate. The time of departure gets closer. I try to speed up the hefting of bags and the opening of doors . . . I always wake up when I arrive at the gate, just as the attendant closes the doors and the jetway pulls away. I can make plans to see you tomorrow afternoon for a cup of coffee. That’s fine. We can decide that we’re going to have lunch today or coffee tomorrow. Those sorts of things don’t bother me. I can understand and grasp what this afternoon or tomorrow morning means. But planning for next week, the week after, or a month from now sends me into paroxysms of hang-wringing and worry. What happens the day after tomorrow doesn’t make any sense to me. When I go to the dentist, the office personnel want to schedule me for my next appointment six months from now. I don’t know, most of the time, what I’m doing in six hours. Six months, six weeks, a month . . . That’s a lifetime in what seems to be someone else’s life. I don’t understand the day after tomorrow. It doesn’t exist, or, rather, it exists vaguely in my imagination. I really don’t know what next Thursday means unless it is tomorrow or the day after tomorrow. Most of the time I don’t know what day of the week it is. I have trouble with calendars. The days and dates just don’t mean anything to me. I show up for appointments almost always at the right time but on the wrong day. I’ve often showed up at a doctor’s office a day or week early, or a day or week late. All these things go through my mind when I make an appointment that lies farther in the future than the day after tomorrow. I always ask if I can get someone to call me and remind me. There’s another problem. Appointments don’t match the reality of what’s going on my brain. Many times in the past, I have made, say, a lunch date with you and a lunch date with someone else. Both those lunch dates are scheduled for the same time. But in my head, they don’t come together. In other words, the two dates are in my head but I don’t realize that they conflict with each other until the day, sometimes even the minute that they occur. It’s as if the two dates exist on different levels in my head but they don’t overlap until it occurs to me that I’m supposed to be in two places at once. I might say I’m afraid of commitment, but I’m not sure. I am a man who lives up to responsibilities. 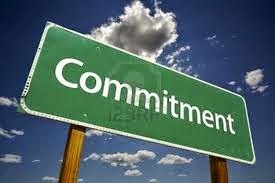 I make commitments all the time, and I am always good for my word. But being committed to responsibility in a time I don’t understand gives me no end of anxiety. I’m afraid I’ll miss an appointment or forget it altogether. I fear the repercussions of missing an important event. I wonder if I’m even adult enough to make appointments. My wife often makes long-range plans. I’m not talking about general goals and dreams. I can do that. By the end of next year, for instance, I want to have deposited, say, $1,000 in my son’s college account. I can make that kind of commitments. It’s out there and its undefined. I can work toward a thousand bucks a little at a time. I’m talking about definitive arrangements for sometime in the future, like planning a hotel stay months from now. With those plans in place come other ideas. What to do while we are there. What about the dogs while we’re away? 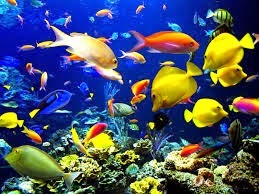 Who is going to feed the fish? Those kinds of questions plague me. Who cares? We can talk through these little details a million times and ways. Talking about these things for months leads to nothing and it takes me out of my moment. We will figure out what we want to do in the days leading up to our voyage. We will find someone to take care of the dogs or a place we can board them. There are, for sure, people who will want to get paid for taking care of the dogs. We will find someone to feed the fish. These things will get done, dammit. Let’s leave it at that. So, I get what you’re saying. I deal with planning in this way: I accede that other people need to plan things in the future, either for their own peace of mind or because they have real jobs and real commitments that I don’t have. I go along with the process and hope they’ll remind me I’m supposed to be someplace at a given time. 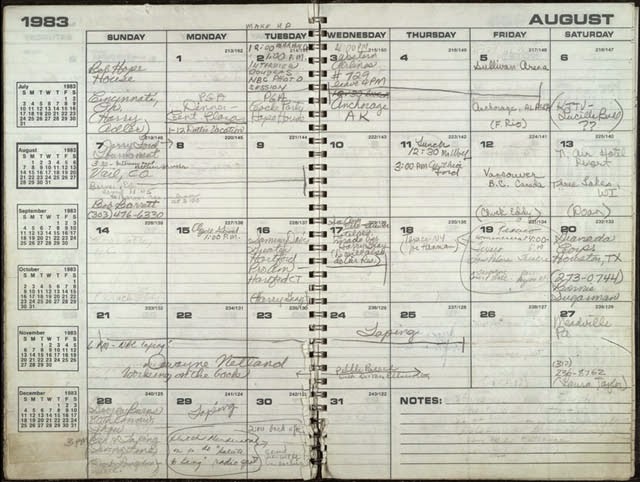 I even put that information on a calendar or in my phone, neither of which works very well—you have to have a sense of time to understand a calendar or appointment book. I try to do better and try to get comfortable enough so I don’t worry. I know this isn’t good or comforting enough for you. But you might try. The most important thing, I’ve found, is to understand that your efforts are for others, not for yourself.